We’ll admit, Instagram is our favorite social media platform (shh, don’t tell the others!). We love it for a lot of reasons: we get to showcase our brand through beautiful imagery, we get to see behind the scenes of other business owners, we get to connect with brands, businesses, and people all over the world but what we love most of all is that we feel like we really get to know the person behind the business. 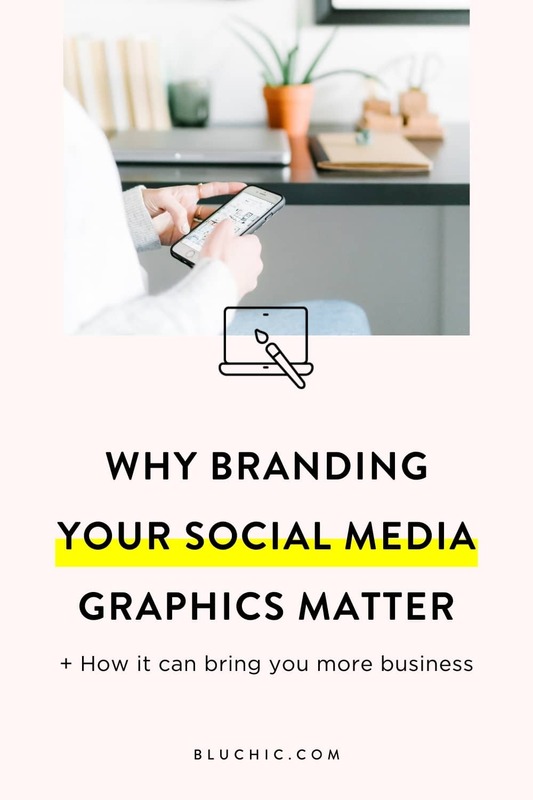 Facebook, Twitter, and Pinterest are great, but it feels like you have to be a little more polished with the captions and content that you share on those platforms. Though Instagram can feel like a bunch of pretty photos, the captions are where you can really showcase what you’re feeling and thinking. Since Instagram stories has launched you also get to see more “real” behind the scenes of businesses. We decided to share how we use Instagram as a business and how you can too. Be sure to download the free PDF guide on how to get started on Instagram for your business! Download this FREE guide to getting started on Instagram as a small business! Enter your info below to download the freebie so you can get started today. Instagram is still the #1 social media platform we use to interact back and forth with customers. When we see a customer comment on our feed or when they tag us after their new site is launched, it truly makes our day. It’s great because we can get to know our customers on a different level: we can learn more about their families, their day-to-day lives as well as keep up with what’s going on in their business. Responding back to customer comments as well as following and commenting on Bluchic customer photos is our way of saying thank you for following us and that we appreciate them. A comment can go a long way and we’ve even made sales through commenting on other’s profiles. Instagram is the perfect social platform to showcase our feminine brand. We get to show mockups of our WordPress themes (pictured below) as well as any other promotions we currently have going on (see our past Valentine’s day promo below too). Of course, we email our list about all of our promotions but some people may only follow us on Instagram so we make sure to promote all of our sales and themes on our account. We ask for feedback on so many things on Instagram! People love sharing their thoughts and experiences on things and Instagram is a great place to get this feedback. We don’t target specific people to convince to become one of our customers, but we do use hashtags to find our ideal customers and see what types of posts they share. For instance, we have a WordPress theme for Virtual Assistants. We started engaging with accounts that used the #virtualassistant hashtag as well as accounts that had Virtual Assistant in their bios. These people are natural customers who could be interested in our VA WordPress theme, so it makes sense to interact with those accounts. We don’t do this in a robotic or sleazy way. We do not use or condone automated bots on Instagram as that usually ends up creating an inauthentic brand and that is not what we are about. We leave thoughtful comments on their profiles and genuinely want to interact with them. If they buy one of our VA website theme, great. If they don’t, no bad feelings. One thing we’re trying to get more comfortable with is sharing our less curated side on Instagram. Yes, we use beautiful stock images (primarily from SC Stockshop, Styled Stock Society and Haute Stock) but we’re trying to share more “real life” photos too. This is why I really enjoy Instagram stories because it doesn’t have to be as curated as the Instagram feed. We share the mess that is our house (also known as the toddler tornado), what we’re doing on the weekends, or what a day in our life looks like (even when it’s a sick day like last week, ugh!). Anything that shares a snippet of our real lives as the people behind the brand of Bluchic, not just Bluchic the small business. This resonates really well with our audience and I’m sure it would for you too. Start small if you’re uncomfortable sharing a lot about your life. It gets easier with time, we promise! Check out the 6 Online Business Owners We Love Following On Social Media. You’re bound to be inspired! Obviously, we use Instagram to promote our WordPress theme shop, but we also want to share our expertise with our followers so they can learn something new. We often give tips on how to improve your website, how to get more people to your online shop, and what we’ve learned after being online business owners for 5 years. Learn how you can easily create a viral blog post graphic with this 5 step process! This may be hard to believe but many of our partnerships with other online business owners started because we were following each other on Instagram. It’s so wonderful that we live in a time where we can live halfway around the world and collaborate with other businesses. Since the start of Instagram stories, direct messaging people that you follow isn’t as taboo as it was before. Start a quick conversation with someone you admire and think you could collaborate with or ask to have a virtual coffee chat. You never know what doors may open for you! Instagram is a great platform to talk to your ideal customers, network with other business owners, and build friendships with people all over the world. If you aren’t already following us on Instagram, give us a follow and leave a comment letting us know you came from this blog post. If you haven’t already, be sure to enter your information below to download our quick getting started on the Instagram guide!